The Laymen's Home Missionary Movement [Bible Standard Ministries—​LHMM] in its present form originated in 1920, by Prof. Paul S.L. Johnson (an able Hebrew and Greek Bible scholar) and Prof. Raymond G. Jolly (his main assistant, an educator and Greek Bible scholar) both graduated from colleges with highest honors. Many other very dedicated Pastors have continued their teachings to this day. Another name [Bible Standard Ministries] was created in 2005 for publication purposes and for other use in the growing undenominational Gospel ministry. Prof. Johnson served until his death in 1950 as the LHMM Executive Trustee and Director, and Editor of its magazine The Herald of the Epiphany—now called The Bible Standard. Pastor Jolly succeeded him in these capacities till his death in 1979. Pastor August Gohlke (who was tutored by and for years specially assisted Profs. Johnson and Jolly) succeeded Prof. Jolly and served until his death in 1985. Pastor Bernard Hedman, who was associated closely with all three previous editors, served as Executive Director and Editor till his death in 2004. Pastor Ralph M. Herzig likewise served till his death in 2016. Pastor Leon J. Snyder is currently serving as the Movement’s Executive Trustee and as Editor of The Bible Standard magazine. The LHMM is a worldwide interdenominational, non-sectarian, non-profit-making, unincorporated religious movement, in which many Christian people, especially laymen, of all walks of life, from and apart from various denominations, co-operate voluntarily. There are many chapters in the U.S.A. and abroad. 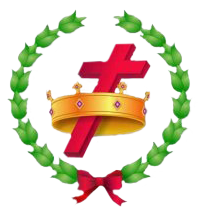 It is not affiliated with any other group or denomination. It is financed by unsolicited voluntary contributions. Donations to it are income-tax exempt. The purposes of the LHMM are to preach the Gospel (the "good tidings of great joy"—Luke 2:10, 14), to encourage growth in Christlikeness, to spread and encourage others to spread Bible knowledge (particularly as it pertains to our times), and to stimulate greater interest in individual and group Bible study along non-sectarian lines—in churches, assembly rooms, homes, etc. To accomplish its purposes, the LHMM publishes and circulates—through literature evangelists and other Christian workers, by mail, etc.—large quantities of Bible-based books, booklets, magazines and free tracts, in various languages. Also, it uses its staff of qualified speakers, teachers and evangelists at planned conventions in many nations. Our ministers are specially prepared for service by education in the Bible's teachings, in our ministry training schools. Funds are never asked for their services, but free-will offerings are accepted.